H.245 – Feature Exchange – Phone A calls Phone B or Gateway A and Gateway B, they have to agree on a CODEC. H.225.0 RAS – Registration, Admission, Status – GK – Gatekeeper focus..
H.323 is Peer to Peer which has scalability issues. Gatekeeper provides Registration, Admission and Status. 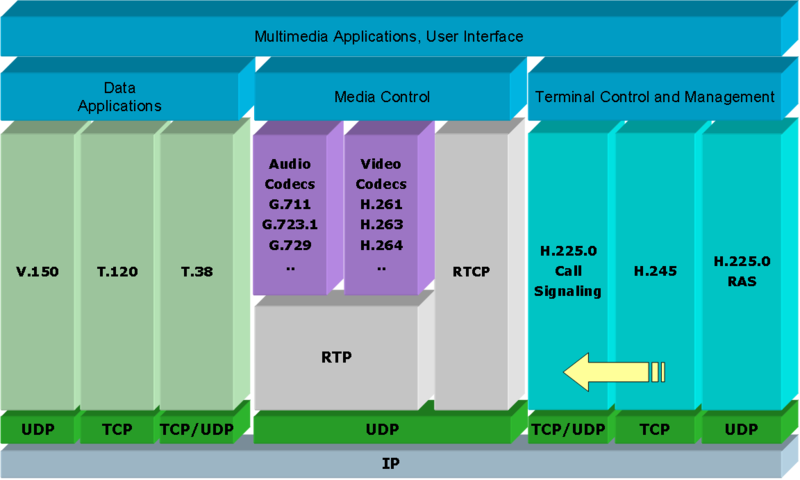 Also Bandwidth Control, network can be divided into ‘zones’. Dial-peer sends everything to GK -> Admission Request -> Admission Confirm -> If failed Admission Reject sent. Destination GW checks in with the GK to confirm am I ok to speak to this GW? Is there enough BW? When call is in place, subtract BW… when call is disconnected, bandwidth is put back into the pool. default-technology = default-gateway essentially.. can be confusing! You specify a VG to act as a DG so the Gatekeeper can send calls to it when it doesn’t have a dial-peer in place. I think..